With the patented use of Magnesium, titanium, aluminum and stainless steel, and hours of testing, we have an exhaust system that out-performs for all levels. 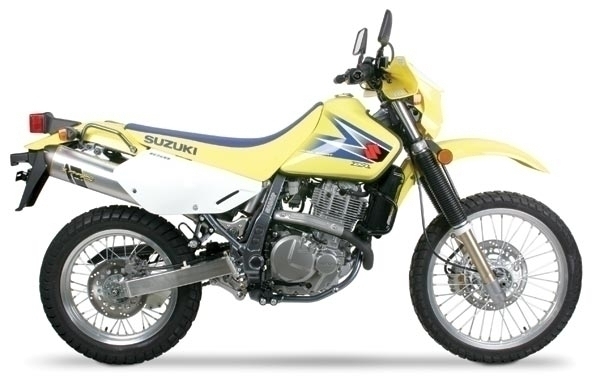 Whether you are on the track, trail riding, woods riding or just having fun in the sand this exhaust delivers. Performance gains are seen and felt in every part of the powerband. We are sure that when you pull this exhaust system out of the box, install it on your DR650, and feel the performance you will agree that it is The Absolute Top Level™.